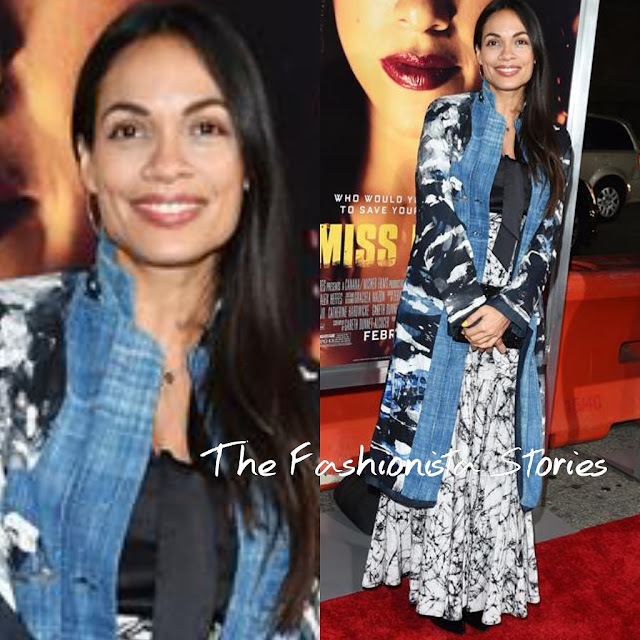 Last night(January 30th) the red carpet premiere of 'Miss Bala' took place at Regal LA Live Stadium 14 in LA. Gina Rodriguez who stars in the film, wore a red STAR by JULIEN MACDONALD floor length sequin dress featuring a front hem slit and contrasting black leather piping. This is a simple but great look for the actress. EF COLLECTION earrings, EFFY rings, and JIMMY CHOO pumps rounded out her look. 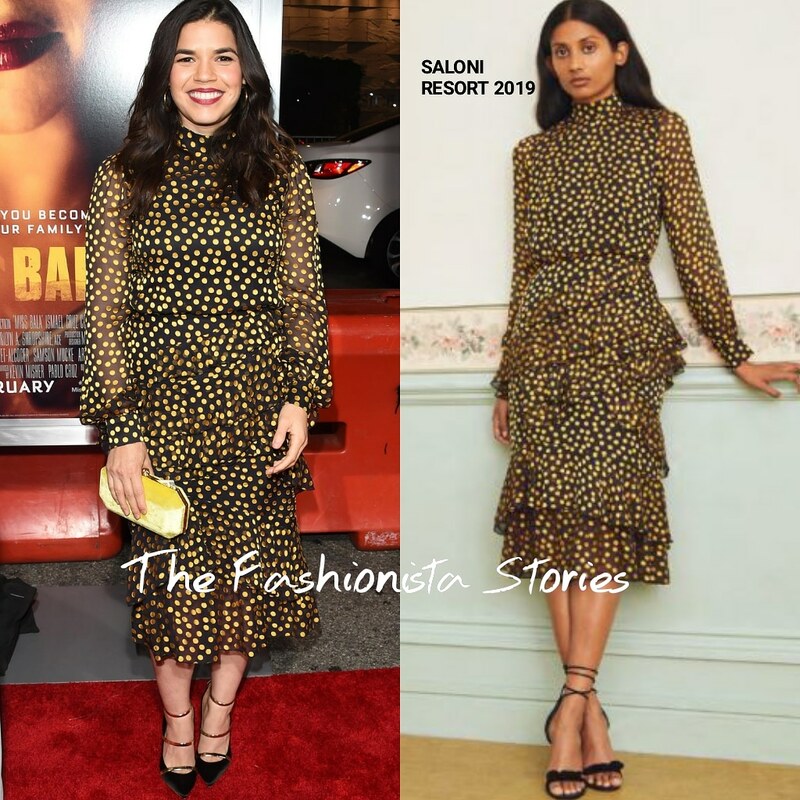 America Ferrera wore the SALONI RESORT 2019 'Issa' black & yellow, ruffle polka dott silk Georgette dress. While I like the TYLER ELLIS 'Perry' yellow velvet clutch, it doesn't work here. Nonetheless, she looked great as well. Sophia Bush didn't deliver with her SAG look but she was on point with this CINQ A SEPT RESORT 2019 power suit. Her burgundy power suit was toughen with silver studs. An EDIE PARKER clutch, BRIAN ATWOOD pumps, and matching lip rounded out her look. Eva Longoria wore a JOHN PAUL ATAKER SPRING 2019 jumpsuit. This piece is cute but those creases are unfortunate and I am not feeling the fit of the pants. Rosario Dawson always works the boho look, which suits her style. She is wearing pieces from her collection, STUDIO 189. However while they are cute, they don't work together.